The 2019 Ascension Seton Austin Marathon marked the 28th anniversary of the Austin Marathon and there were over 17,000 entrants between the 5k, half marathon and marathon. Several LASA students ran these events, including the 26.2 mile marathon in mid-February. Training for the marathon can take months, and the race can take over four hours to complete, so LASA senior Amber O’Rourke and other runners were elated about their accomplishment of running and finishing the Austin Marathon. Training for such a long distance race can takes months of consistent training. If a runner does not train properly, they can face injuries such as pulled muscles, shin splints and other afflictions. O’Rourke went out for a run whenever she had the time in order to train for the marathon. “In November and December I was running three times a week, and I was just trying to up my mileage little by little every week,” O’Rourke said. 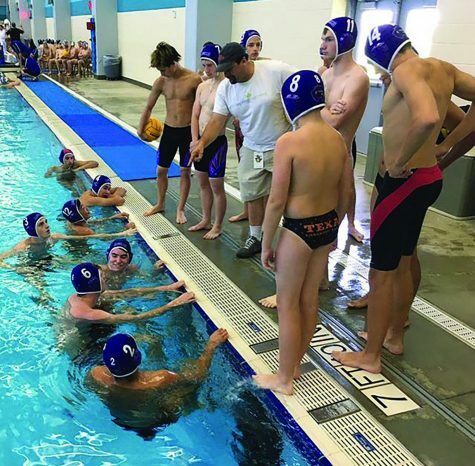 LASA senior Josh Kreth believes that setting a reasonable pace for a race is just as important, if not more, than running itself. Starting off a race too fast or slow can affect the runner’s overall time to complete the race as well as their level of fatigue while running it. “The most challenging [part] was trying to figure out a pace for myself and trying to determine whether what I was feeling was injury pain or just tiredness pain,” Kreth said. Generally, water is distributed every mile or two and snacks are given away every few miles, and long endurance races burn many calories and can make a runner fatigued by midrace. Because of this, O’Rourke recommends always grabbing the snacks and water provided by the mile markers. “Take all of the water and snacks they give you because you never know if you’re gonna need it right after you pass it,” O’Rourke said. In addition to eating and drinking water during the race, LASA senior Paul Kim ran the half marathon and advises runners to eat prior to the race in case there are not many volunteer stands offering food. “Definitely eat before you run the race because I was super hungry,” Kim said. Each of the students who ran the marathon thought that the race was fun, well orchestrated and organized, and they especially liked the snacks handed out during the race. 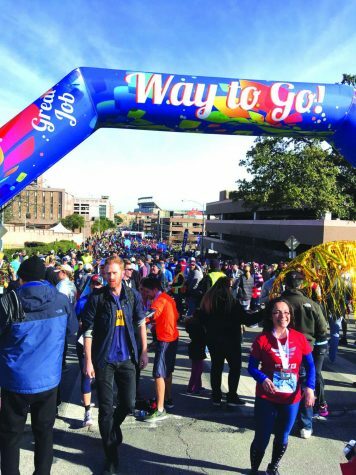 The 26.2 miles winding around the hilly streets of downtown Austin not only challenged the students’ physical strength, but it also poses a daunting mental battle, according to Kreth. “The most challenging mile was probably 17 or 18 because that mile is a lot of uphill and that’s where I started to hit my wall,” Kreth said. Kreth believes that one of the most rewarding takeaways from running the marathon is the satisfaction of knowing that he accomplished something most people never will. “It’s just really cool to be able to say ‘hey, I’ve run a marathon’ considering I don’t know if I’m gonna be able to do that later in life,” Kreth said. This year was senior Kimmy Wilson’s third year running the half marathon. She keeps coming back to run it each year because of the satisfaction and pride she feels in herself and her friends at the end of the 13.1 miles. Kreth liked seeing the new and less popular parts of his home town that he have never heard of or been to before. “It was fun to run along and see different parts of Austin that I’d actually never been to before,” Kreth said. As Kreth looks toward the future and if he would want to do another marathon, he thinks that it would be a fun new challenge to run a different city’s marathon. “I would do a different city just because I feel like a different course has different challenges,” Kreth said. Despite the dedication LASA runners put into the marathon and half marathon, they found their accomplishment worth the effort. Many of these runners considered their experience running the marathon or half marathon unforgettable and plan on running another one in the near future.